Up until now, Billy Baggs's life has been loaded with nevers. Never been to a movie. Never played baseball with a real team. Never got over feeling guilty for the loss of his brother. But change is in the air. Billy discovers he has a natural talent for baseball, especially as a pitcher. Maybe, just maybe, there's more in store for him than life on the farm. But can Billy convince his father of that? 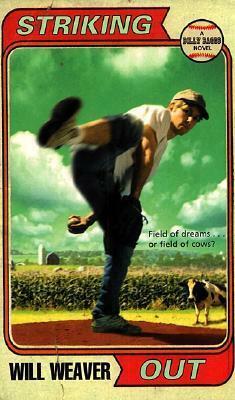 Or is he destined to spend the rest of his life pitching nothing but hay?Teenager Billy Baggs is desperately needed on his family's struggling dairy farm, but he's also an extraordinarily gifted natural baseball player. How he struggles to reconcile his father's desire to keep him on the farm with his coach's interest in getting him on the field is at the heart of this 'meaty story.... The complex characters grow and change in profoundly real ways.''K. '[With] flashes of humor, a wealth of lovingly recounted details evokes the difficult daily life on a small dairy farm. ''Publishers Weekly.